When Are Credit Card Debts Unenforceable in a Chapter 13 Bankruptcy? 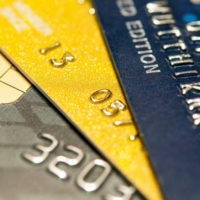 Many Florida residents file for Chapter 7 or Chapter 13 bankruptcy due to mounting credit card debt. But before you seek bankruptcy protection, you should know that depending on how old your credit card debt is, the lender may have no legal recourse against you. This is because credit card debt is subject to Florida’s statute of limitations. In any type of civil lawsuit, including a creditor’s action to enforce a debt, the State of Florida establishes a time limit known as the statute of limitations to bring a claim. For written contracts the statute of limitations is five years; in most other cases it is four years. Depending on the nature of your agreement with the credit card company, one of these limits will apply to your debt. So what does this mean in practice? Let’s say the last payment you made on your credit card was in April 2012. If the lender sues you to collect the debt in May 2017, a Florida judge has to throw out the case, because the statute of limitations (whether 4 or 5 years) has expired. This does not mean that the debt itself is invalid or that you should not pay it back. The unpaid debt can still be reported to credit agencies and bring down your overall credit score. The statute of limitations simply means the debt can no longer be legally enforced against you. What If I File for Bankruptcy After the Statute of Limitations Expires? When you file for bankruptcy, your creditors have the right to present their claims to the bankruptcy trustee. In a Chapter 7 bankruptcy unsecured debts such as credit cards are usually discharged (wiped out) so the lender gets nothing. But in a Chapter 13 case, the debtor must submit a repayment plan to the bankruptcy court. Under federal bankruptcy law, the debtor can cite the expiration of the statute of limitations as an “affirmative defense” to avoid repayment. But according to a recent decision by the U.S. Supreme Court, it is not against the law for a creditor to present an expired claim. The Supreme Court specifically addressed a situation where a debt buyer–a company that purchases unpaid debts from credit card issuers–filed a claim in an Alabama bankruptcy case after that state’s statute of limitations (6 years) had expired. The bankruptcy court dismissed the claim. But the debtor then turned around and sued the debt buyer for violating the Fair Debt Collection Practices Act (FDCPA), which makes illegal for any debt collector to engage in “false, deceptive, misleading, unfair, or unconscionable” practices. By a 5-3 vote, the Supreme Court held the FDCPA and the Bankruptcy Code did not prevent a debt collector from presenting a “stale” claim in a bankruptcy case. Since the debtor could still argue the statute of limitations as an affirmative defense, the Court saw no harm in the debt buyer’s actions. But in a dissenting opinion, Justice Sonia Sotomayor pointed out that in recent years, professional debt buyers have intentionally acquired stale debts and “deluged the bankruptcy courts” with legally unenforceable claims, hoping that “unsophisticated” debtors won’t notice and include the debts in their Chapter 13 repayment plans. One way to protect yourself from creditors acting in bad faith is to work with an experienced Miami bankruptcy attorney who will make sure you are not stuck paying an unenforceable debt. Contact the Law Office of Julia Kefalinos today if you need to speak with a lawyer right away.